Well, it's that time ... we all dread it. Yes, it's time to buy a new mattress. Not much to say right now about it, I'm in the early phases. We did the painful "go to the store and lay on a bunch of beds" thing. Meh. I'm strongly considering buying a mattress from an online only company. There are several USA based firms that have popped up since I last bought a mattress, only 3-4 years ago! (BTW - our last one was from Walmart.com. It was OK -- even quite good -- for the first 18 months or so, but, the fact it only had a one year warranty was noticeable. 3 years in, it's just not holding up any longer). 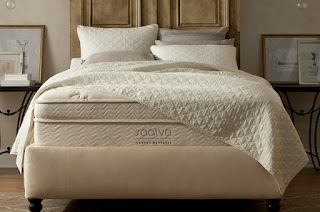 Here is a great website I found for mattress evaluation: www.sleepopolis.com (for online mattresses). Check back later and I'll let you know how it goes! We also bought our last mattress from Walmart. It did its job for as long as possible, but we are also in the market for a new mattress. I will check out the website you posted, as I would much rather order a mattress online and have it delivered to my house. Much easier than dealing with loading a mattress into the back of my truck.